The inferior orbital fissure a.k.a. sphenomaxillary fissure is a longitudinal opening alongside the posterior two-thirds of the bony cavity, located posterolaterally towards the orbital floor dividing the lateral wall of the orbit via its floor. The inferior orbital fissure is thinner centrally compared to the extremities. It is broad in its anterolateral terminal where it is finished by the zygomatic bone. A branch of the inferior ophthalmic vein and several emissary veins. Orbital ganglionic branches of the pterygopalatine ganglion. Posterolaterally – The greater wing of the sphenoid bone. Laterally – The zygomatic bone. Medially – The sphenoid body and a short section of the palatine bone. Anterior or orbital surface of greater wings of sphenoid bone divides the superior orbital fissure and the inferior orbital fissure. Anterior wall of infratemporal fossa and roof of infratemporal fossa is divided by inferior orbital fissure. Infratemporal fossa communicates with the orbit via inferior orbital fissure. A division of the inferior ophthalmic vein along with several emissary veins. 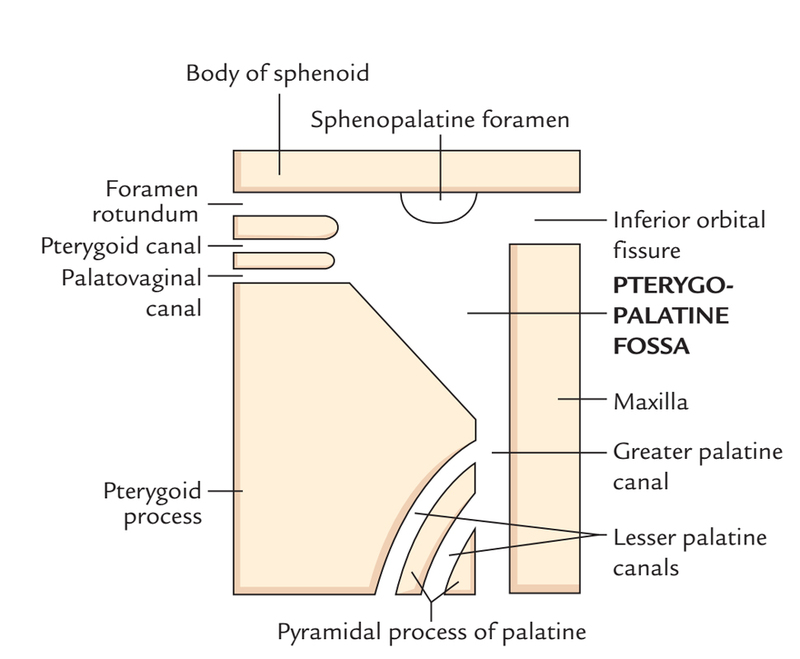 Medially – The sphenoid body and a small section of the palatine bone. Posteriorly – Orbit and the pterygopalatine fossa. Medially – Orbit and the infratemporal fossa. Posterolaterally – Orbit and the temporal fossa. It creates a bridge above the inferior orbital fissure and pterygopalatine fossa, Infratemporal fossa and temporal fossa are separated from the orbit through it. This muscle must not be mixed up with Muller’s muscle which attaches within the tarsal plate of the upper eyelid.